TABLETOP TORTILLA MACHINE, 120V, 1/3 hp, TORTILLA MASTERS. 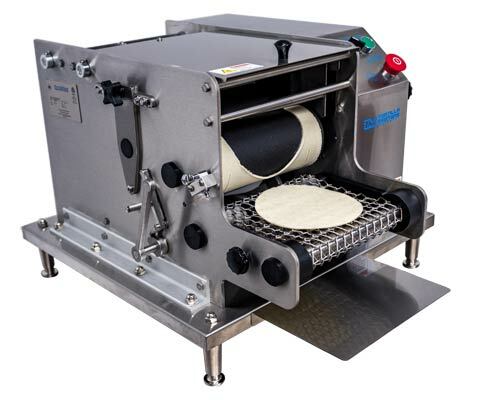 Makes up to 800 tortillas per hour. Thickness of tortillas 1 - 2 millimeters. 7 tortilla sizes available. 4" to 6 1/4". Stainless steel machine size 24" wide by 23" deep by 18" high.